Once you become a parent, you figure out quickly that sleep becomes a precious commodity. Though there’s not much to be done in the first few months of your child’s life, you can help your child sleep well as they grow. Here it is, parents— the ultimate guide to help your children sleep better at night! Babies over the age of 4 months old need about 10-12 hours of sleep per night. Though they won’t be feeding constantly at night anymore, they still may need 1-3 nocturnal feedings. As babies get older, they’ll also start eating solids which will help them feel more satisfied and sleep better at night. Hang in there! The key to this stage is to continue to help your baby establish good sleep patterns. Give your child consistent nap and bed times to set their internal clock. Things won’t always be predictable, but you can at least have a general idea of when your baby will be sleeping. Children over 18 months old still need plenty of sleep. To help your young one get the sleep they need, choose a bed time that makes sure that your child is getting at least 10-12 hours of sleep per night. For example, a 7:00 pm bedtime may seem early in your mind, but if your child consistently wakes up at 6:00 am, it is crucial for their development. Though a 9:00 pm bedtime may be convenient for you, it may make your toddler groggy and grumpy the next day if they wake up early. As your kids get older, they still need plenty of sleep, even if they don’t think they do! They’ll find all the crafty ways of trying to stay up late so they “won’t miss anything.” It’s important to set the rules for bedtimes and uphold them. Eliminate excuses for constantly getting out of the bedroom. For example, giving your child a small bottle of water by his bed can help stop the “thirsty” excuse. To find out which bed times are right for each corresponding age, here’s a handy chart from Good Housekeeping that can help you. As things come full circle, your child will become a teenager and eventually want to sleep. Since sleeping in isn’t feasible on school days, implementing a 10:00 pm bedtime should still be in effect, especially if they have to be on the bus early in the morning. Sleeping on the right mattress will give your children have a better night’s sleep. After all, who gets excited about sleeping on a hard, sagging, or poorly made mattress? 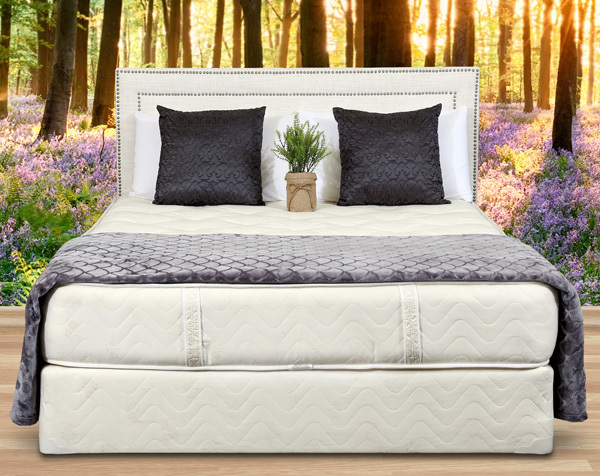 Gardner Mattresses are made with the finest organic materials, stitch by stitch, and are meant to last for years. The right support will optimize your children’s quality of sleep, making the most of their time in bed. Give your young child the sleep support he or she needs by choosing a great mattress from Gardner Mattress.